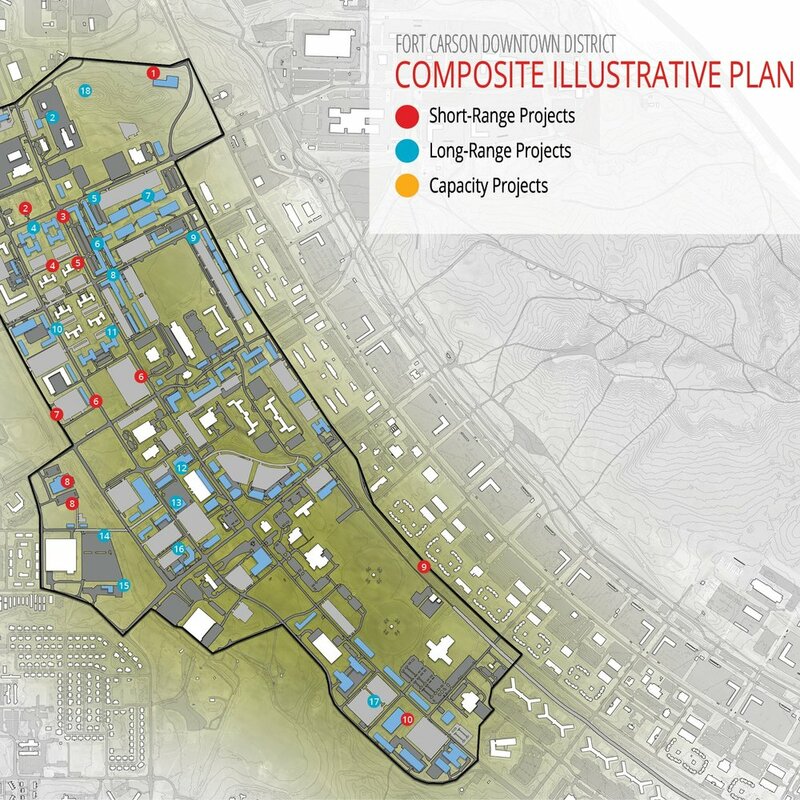 The Area Development Plan (ADP) for the Centennial Training Center (CTC) enclave located at Fort Carson, CO explores future development and expansion options at the site to support enhanced operations of the current mission and provide future growth in the next 15-20 years. The CTC is a state-of-the-art training facility operated by the Colorado Army National Guard (COARNG). The planning team reviewed reference documents relating to the site, conducted interviews with a wide range of COARNG and Fort Carson personnel and subject matter experts, analyzed existing facility utilization, developed programming requirements for desired new facilities, and facilitated on-site work sessions and a charrette with key stakeholders and COARNG leadership to generate conceptual designs and reach consensus on the preferred alternative design concept for the CTC. After completion of the ADP, HB&A was selected for the design of the CTC site, currently underway.